Flags at court premises and related institutions will be flown at half-mast for a week in honour of the late former Chief Justice of Nigeria, Aloysius Iyorgyer Katsina-Alu, who passed away yesterday aged 76. Justice Katsina-Alu’s tenure will be remembered for some controversies. At the time he was due to be sworn in as CJN in December 30, 2009, the then President Umaru Musa Yar’Adua who should do the swearing-in was flown abroad for medical treatment. He eventually died. This made outgoing CJN and Katsina-Alu’s predecessor, Idris Kutigi to administer the oath. 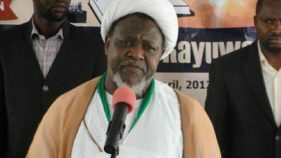 At the twilight of his tenure in 2011, another controversy erupted between him and the president of the Appeal Court, Justice Ayo Salami over alleged moves to affect the course of justice in a post-election case between the then Sokoto State Governor Aliyu Wammako and his challenger Muhammadu Dingyadi of the Democratic Peoples Party (DPP). It was revealed that before the Appeal Court could enter a verdict on the matter, counsel to Wammako and the Independent National Electoral Commission (INEC), Alfred N. Agu and A.B Mahmood, forwarded two petitions dated February 15, 2010 to the Katsina-Alu, alleging leakage of judgment. What started as an in-house matter between the two senior jurists took a frightening twist on February 8, 2011, when Salami took Katsina-Alu to the Federal High Court in Abuja. Katsina-Alu queried Salami on February 18, 2010, and ordered an immediate disbandment of the Sokoto State Gubernatorial Election Appeal Panel. Salami saw this as an attempt to usurp his powers because the appeal court by the provision of the then electoral act was the last point of adjudication over governorship disputes.Consequently, Salami ordered the panel to go ahead and deliver its verdict, since the contention of the petitioners was not that they were denied justice or fair-hearing. But before the panel could comply with the directive, Katsina-Alu ‘arrested’ its judgment and subsequently dismissed Dingyadi’s petition as grossly lacking in merit. Following this, Katsina-Alu elevated Salami to the Supreme Court as Justice. Salami rejected the offer and dragged Katsina-Alu to the Federal High Court, accusing him of attempting to twist judgment in the governorship case. Instead of responding to the allegation, the National Judicial Council (NJC), chaired by Katsina-Alu, summoned an emergency meeting in Abuja, where members exonerated the CJN of any complicity. The NJC ordered Salami to apologise to Katsina-Alu in writing within seven days starting August 10, 2011.The Council deliberated on the reports of two separate committees on the allegations raised by Salami that Katsina-Alu instructed him to direct the Sokoto Gubernatorial Election Appeal Panel to dismiss the appeal by the DPP and found out them untrue. The NJC maintained that Katsina-Alu acted in good faith and was motivated by the apparent urge to protect the administration of justice and avoid a breach of peace when he directed that the judgment in the Sokoto Appeal Panel be put on hold, pending the investigation of the petitions he had received on the matter. The NJC subsequently exonerated the CJN of alleged interference. 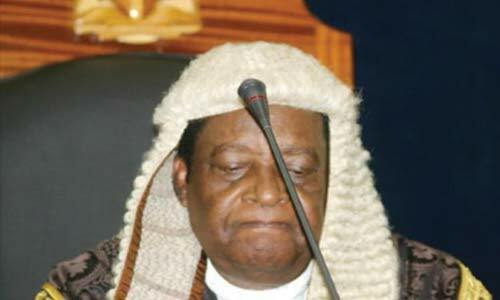 After Katsina-Alu’s retirement, his successor, Dahiru Musdapher, ordered a review of the decision by a three-member committee headed by retired Justice Mamman Nasir, under a broader judicial reform committee led by former CJN, Mohammed Uwais.In its submissions, the Nasir committee criticised Salami’s removal and upheld his allegation that the feud started with his refusal to influence the outcome of the Sokoto case.“It became evident that Katsina-Alu CJN’s administrative decision that the case should be put on hold, should not be made by him. In any case, the CJN should not in the first place have written direct to the Justices in Sokoto judicial division, as the power to do so lies in the President of Court of Appeal,” the committee wrote. 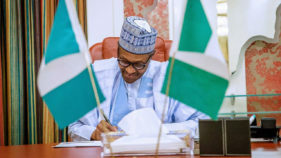 The development led many Nigerians to question the integrity of the country’s judiciary.Meanwhile, tributes have been pouring in for the deceased.President Muhammadu Buhari, in a statement signed by his Senior Special Assistant on Media and Publicity, Garba Shehu, said the late Chief Justice left behind a legacy of discipline, brilliance and diligence that younger jurists should emulate, and prayed God to grant the soul of the departed rest and the family comfort. Chief Justice of Nigeria (CJN), Walter Onnoghen, urged the judiciary and the family of the deceased to take solace in the fact that the deceased lived a fulfilled life. He also directed that condolence registers be opened at all court premises.Benue State Governor Samuel Ortom said the death has thrown the entire state into sadness.The late justice hailed from Ushongo Local Government Area of Benue State.Constitutional lawyer and author, Chief Sebastian Hon (SAN), described the death as a deep shock to the administration of justice in Nigeria.